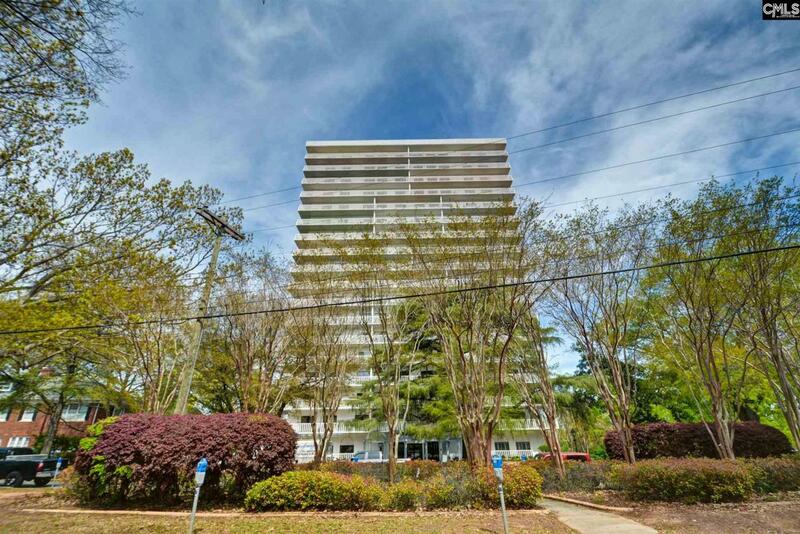 Looking for low maintenance living with the convenience of being downtown? Then come see this handicap accessible condo located in the sought after Heritage Building! Upon entering the condo you are instantly greeted by a formal foyer, which opens to the beautiful updated kitchen featuring subway tile backsplash, white cabinets, marble countertops, pantry, and built-in freezer, refrigerator, and dishwasher drawers. The open concept formal dining and living rooms are perfect for entertaining, and boast access to the wrap around porch. Just off the formal living room is a wet bar, a media room and a large private office with beautiful barn doors. The master bedroom boasts access to the balcony and a private en suite bathroom with spacious walk-in closet complete with built-ins, while the additional bedroom has a large closet, balcony access and a private bathroom. Dont miss the great amenities that the Heritage offers including: 24-hour security/concierge, covered parking garage, pool, gym, sauna, workshop, storage units, wine cellar, and penthouse with amazing views of Downtown Columbia. Come make this your home before someone else does!